Led by Executive Director Heidi Anderson, The Trail Foundation (TTF) is dedicated to preserving, enhancing, and connecting the Ann and Roy Butler Hike and Bike Trail for the benefit of all. The Butler Trail is the 10-mile lush, urban path in the heart of Austin that meanders along the edges of Lady Bird Lake, encompasses 199 acres of green space, and gets more than 2.6 million visits every year. Since its founding in 2003, The Trail Foundation has achieved restoration and beautification projects to the Trail’s infrastructure and environment, while honoring the original vision of the Trail’s founders and ensuring its vibrancy for generations to come. TTF has raised and allocated more than $13 million for Trail improvement projects, completed 16 capital projects since it was founded, three of which are restrooms. TTF has also planted more than 1,000 mature trees, 15 acres of pollinator meadows, and tens of thousands of young trees and plants in native areas along the Trail. The Boardwalk was TTF’s biggest project to date, completed in 2014 in collaboration with the City of Austin, and completes the Trail’s loop east and west of iH-35. For every $1 invested in The Trail Foundation, $2 is generated for Austin’s economy and each year $4.3 million is saved in health care expenditures for adults who primarily exercise on the Trail. 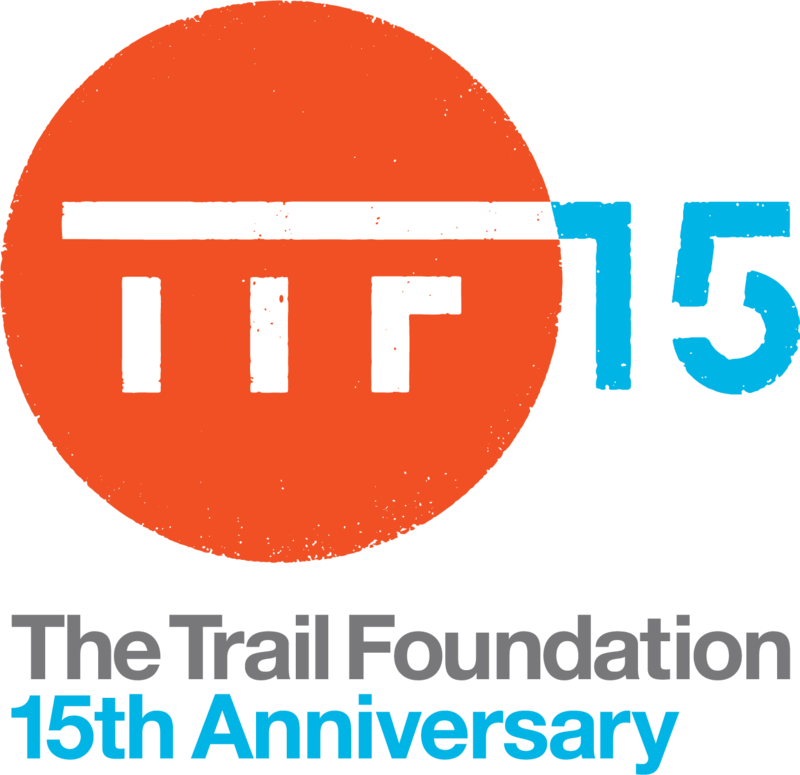 TTF recently announced 15 new projects for the 15th anniversary to be completed on the Trail over the next five years and established the Corgan Canopy Fund to provide sufficient seed funding so that multiple projects can move forward at the same time. The best way to get involved with TTF is to become a member. Support from TTF’s generous members helps make the Butler Trail at Lady Bird Lake more beautiful, accessible, and enjoyable for the benefit of all. This year TTF invested about $4 million into Trail enhancement projects. TTF is a privately funded organization that helps take care of the Trail far beyond what tax dollars will ever be able to pay for. Any donation to The Trail Foundation makes you a member, but the minimum donation amount is $25 if you'd like branded items to show their support for the Trail. Dog and student memberships start at $25. Individual memberships are $50, and family memberships are $150. There are various other membership levels available and each comes with various associated perks such as TTF swag items. Trail users can honor someone special while supporting TTF at the same time by purchasing an honorary or memorial gift in their name. Currently available memorial gifts include personally engraved Lakeshore Park Commemorative Bricks and Boardwalk Benches. TTF’s ongoing Lady Bird Johnson Adopt-a-Garden program allows individuals, businesses, families, organizations, or clubs to adopt a garden along the Trail and design, plant, and tend it. Gardens are adopted for a year, and new garden beds are put up for adoption as they become available. When gardeners work at their gardens, many Trail users thank them for their effort and creativity. The Trail Foundation’s “Day in the Trail Dirt” program is an opportunity for corporate groups to promote volunteerism and environmental stewardship while building employee cohesiveness and camaraderie. A "Day in the Trail Dirt" is a highly customized volunteer day that includes a TTF staff member that is dedicated to the group and helps facilitate the volunteer event. This includes all coordination with the City of Austin Parks and Recreation Department, Watershed Protection, and any other necessary city entities. TTF provides all the necessary tools and resources to maximize the value of the day’s activities for the corporate volunteer group. Austinites can get involved with The Trail Foundation through a number of volunteer opportunities. TTF hosts quarterly volunteer days each year that take place on Saturdays from 9 a.m. to noon. Activities are based on season, temperature, rainfall, and needs of the Trail at the time. Volunteer duties may include but are not limited to: painting benches, pipe fencing, or railing; planting trees and native plants; seeding wildflower meadows; removing invasive plants or weeds; mulching garden beds; and more. Each volunteer day is limited to 30 participants, so interested parties are encouraged to sign up early. The Maudie’s Moonlight Margarita Run and Party is TTF's largest annual fundraising event and takes place in early June each year. Ladies can trade the little black dress and heels for little black shorts and running shoes, while gentlemen can leave their ties at home. The evening begins with an 8 p.m. shotgun start to a 5K course that travels along the streets bordering Lady Bird Lake. Immediately following the race, runners can join TTF for a post-race party on Seaholm's scenic Great Lawn. Party attendees enjoy dinner and margaritas catered by Maudie’s Tex-Mex, live music and dancing, and fun photo ops underneath the stars and lights of downtown Austin. The Trail Foundation has several upcoming volunteer events coming up on the horizon including a Pop up T-shirt sale on Saturday, Nov. 17 from 9-11 a.m. at Vic Mathias Auditorium Shores; a Winter Quarterly Volunteer Day on Saturday, Dec. 1 from 9 a.m. to noon; and a Keep Austin Beautiful Lady Bird Lake Cleanup on Saturday, Dec. 8 from 9 a.m. to 11 a.m.
For more information about The Trail Foundation, visit thetrailfoundation.org.